We are pleased to announce that you will have the opportunity to access the conferennce programme through the Conference4me phone app. Visit http://conference4me.psnc.pl/download/ for more information on how to download the app for Android, IOS and Windows phones. Here you will have access to full text versions of the papes, however, do be aware that links to full text versions of the articles will only work once the proceedings have gone live . We expect this to be soon and no later than 1 May 2019. We are pleased to announce that registration now is open for the 10th Nordic Conference on Construction Economics and Organisation, May 7-10 2019 in Tallinn. Further details on conference venue and recommended accommodation can also be found here. The conference will take place at the Nordic Hotel Forum, which is a four-star business and conference hotel in the heart of Tallinn. ce. The full paper submission deadline for the 10th Nordic Conference on Construction Economics and Organisation has been extended to 30th September 2018. Please use the full paper submission template when uploading your manuscripts. More information can be found at the conference website here. The deadline for submission of abstract for the 10th Nordic Conference on Construction Economics and Organization has been extended to 31 May 2018. We are please to announce that accepted papers for the 10th Nordic Conference on Construction Economics and Organisation in Tallinn will be published Open Access in Emerald’s online Conference Proceedings series (available on www.emeraldinsight.com). All paper will morever be submitted to Scopus for indexing. More information is available on the conference website here. We have now launched the website for the 10th Nordic Conference on Construction Economics and Organisation. Here you will find all relevant information on important dates, submissions and registration, and contact details of the local organisers. Please note that we have updated the abstract submission deadline to 30 April 2018 and the full paper submission deadline to 31 August 2018. We welcome both academic and industry contributions to the 10th Nordic Conference on Construction Economics and Organization. Abstract and full paper submissions are managed through the online conference management system. Authors are invited to submit abstracts of up to 300 words and 5 keywords. You will be asked to select a conference theme when submitting your abstract. Submitted conference papers will be subject to a double-blind review by leading experts and accepted papers will be published in the conference proceedings. The best contributions will be recognized through best paper awards and opportunities to submit extended versions of papers for publication in a well-known scientific journal. The conference programme includes a pre-conference workshop for doctoral students addressing research methods. Doctoral students are also welcome to contribute to the main program of this conference. 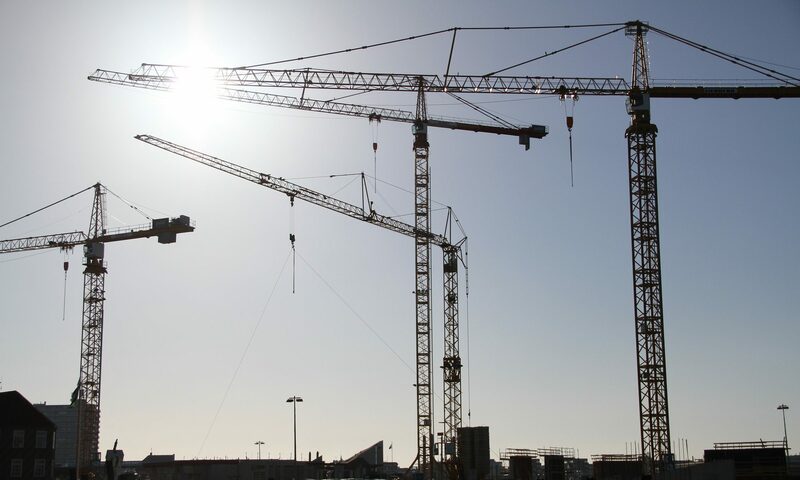 Against a backdrop of globalization, the free movement of people, goods, services and capital particularly within the European Single Market, suggest that it is increasingly relevant to consider the construction industry from a regional perspective. Regional integration brings with it both opportunities – to expand operations and smooth out the volatile construction cycles in smaller countries – and associated challenges such as greater competition and the conditions governing posted workers. The academic research community has historically embraced networking beyond national boundaries, but under these same drivers, regional and international research coallitions are increasingly becoming the norm.